So I am just way too excited not to share with you my newest Spoonflower fabric design. I know I am a little crazy but it is so fun. I am awaiting my first order of swatches. Yay! 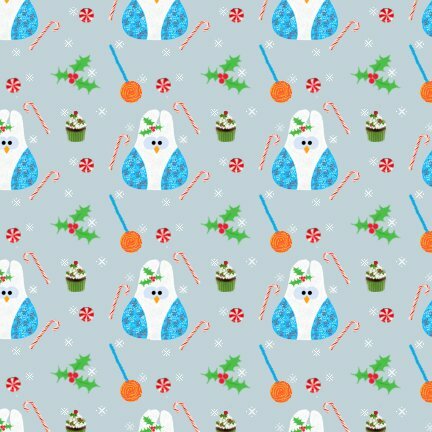 CraftStylish contacted Spoonflower asking for holiday themes designs they will use in a holiday mention of Spoonflower. So here is my submission. :) Let me know what you think! I read the last post, thanks for clearing up the “beta stage” I wasn’t sure what the heck that meant! I’m going to register for an invite now. Did you find it to be user friendly? I cannot wait to go create something for it! Do others have the ability to purchase your designs? Your fabric is great! I’m sure people are going to nuts to get their hands on some! What projects do you have in mind? What I think is that it is ADORABLE! I love it!